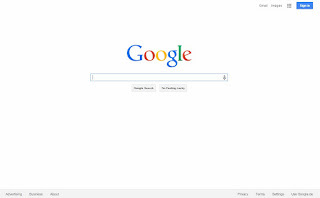 Google introduced the Knowledge Graph in 2012. The objects identified during the search, such as places of interest or personalities, are enriched with factual information. These come from Wikipedia and the CIA World Factbook. 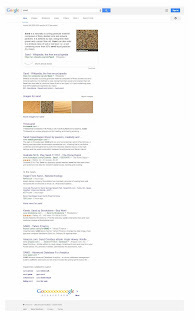 So it is possible for Google not only to show websites, but also to give answers directly. 1998 - [...] Google Inc.
Gale Directory of Company Histories (via Answers.com): »Chances are, if you've ever searched for anything on the Internet, you've discovered Google.com. Chances are also, once you've discovered Google.com, yours is one of over 150 million Internet searches that Google.com handles a day. With reliable and almost instantaneous results (the life span of a Google query normally lasts less than half a second), Google claims one of the widest audiences among Web sites, with 3 billion searchable documents and more than 21 million unique users per month. A dot-com company that made it, Google Inc. has not only survived, but is making a profit. Credit is given to top-rate technology, a rare sales model and an aggressive vision for what's ahead.